Spread the cost from only £114.38 a month with Interest Free Credit. 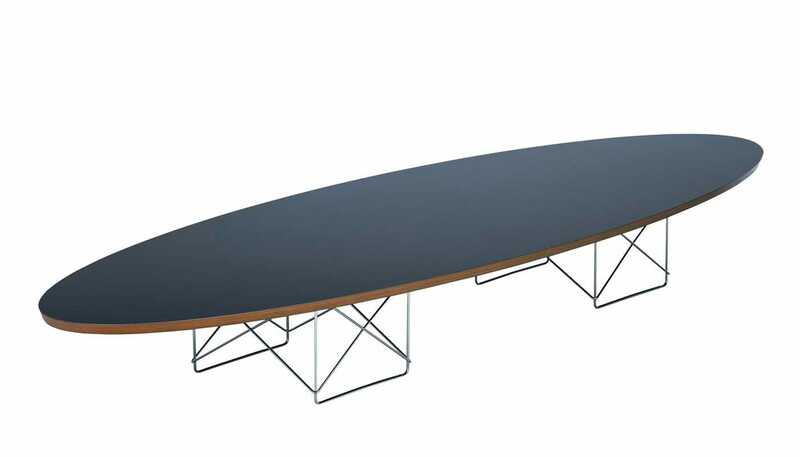 Commonly referred to as the ‘surfboard’, this classic Charles and Ray Eames design pairs an elliptical table top with a double chromed base. A mid-century classic, the fixed, static structure works well within both domestic and commercial settings, its mix of playful forms and sleek finishes a hallmark of what’s now referred to as the ‘Eames’ style.